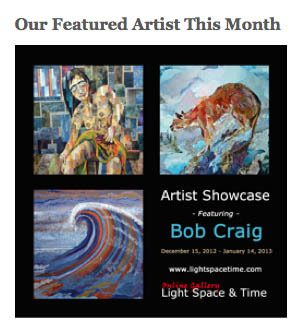 Bob has shown work at Light Space & Time for several years and is proud to be featured in a Showcase December 15, 2012 – January 14, 2013. It’s a great time of year to be online, as people will have a few extra holiday hours to surf their favourite art sites on shiny new tablet devices. Many thanks to the folks at LST and Happy New Year to All! 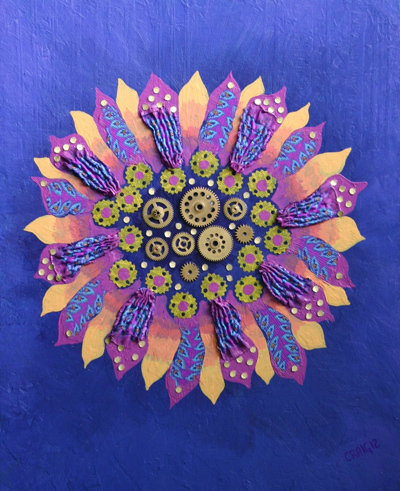 Three of Bob Craig’s Mandala collages received Honorable Mention in The Artistic Circle Healing Art 2 – 2012 Contest. There were over 9300 votes cast and more than 42,000 page views according to Google Analytics. All the winners and honorable mentions were chosen in order according to the amount of votes that they received, and are posted to the website here. 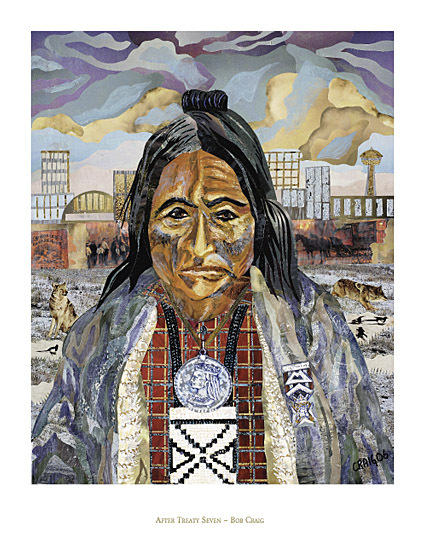 AT PICTURE CULTURAL ART California State University Dominguez Hills, Exhibiting 100 Paintings selected from 1000 entries from all over the world. 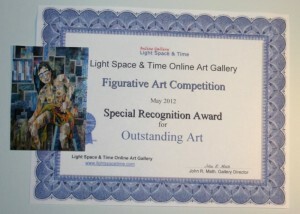 Recently I was chosen as a Finalist in an Art Show put on by L’Arche Greater Vancouver. At the event on March 10 the finalists work will be on display and everyone attending will be able to vote on “The People’s Choice”. All the pieces in the show are inspired by the theme of community. 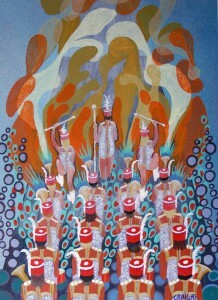 My piece is called THE MARCHING BAND_ I’ll be there to show it off. 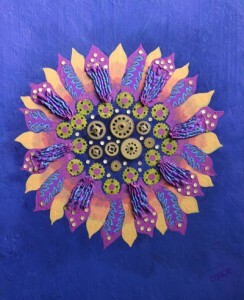 On March 10, 2012, L’Arche Greater Vancouver (www.larchevancouver.org) will be holding its 3rd annual ‘The Art of Being Together’ event to raise awareness and much needed funds for their residential and day programs for adults with developmental disabilities. This event attracts a number of artists in the Lower Mainland to participate, and all finalists’ artwork will be on display. Guests will have the opportunity to vote on the People’s Choice from the Finalist Gallery, purchase art from the Honourable Mention and Art Together Galleries and participate in creating a collaborative art project during the event. 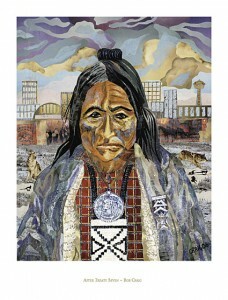 The festivities will also feature an interactive community art project, great musical performances and a silent auction. The Art of Being Together will take place at the National Nikkei Museum and Heritage Centre, 6688 Southoaks Crescent, Burnaby BC. It runs from 1pm – 5pm, and admission is by donation (A $5 minimum is appreciated). For more information, be sure to Follow them on Twitter (@larchev) or Like them on Facebook (http://facebook.com/taobt). I hope you will be able to come out and enjoy the event. Bob was part of the July 2009 exhibit at this Southeast False Creek space, located at 190 West 3rd Avenue. Hours, 10am – 2pm Tuesday – Saturday. Bob exhibited at the 5th International Art Festival ‘Chania 2007’ at the Old Customs public exhibition center in the old town of Chania Crete, Greece. With an exhibition space of over 4000 square meters, this is one of the largest art shows in Greece. July 10th to 15th, 2007. Bob exhibited with Art Batik Group at the Sala Barna Gallery, February 22 to March 12th, 2007.